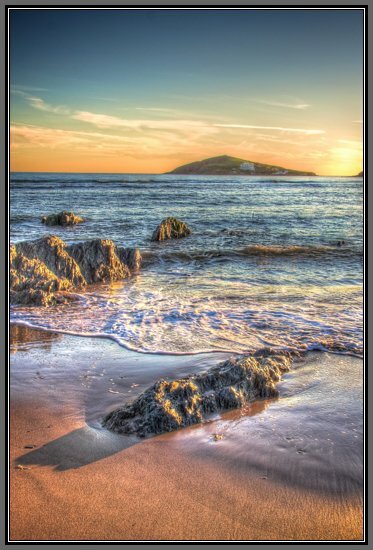 An azure and gold sky blankets Burgh Island, while the last rays of the dying sun cast long shadows on Bantham's sandy beach. The glistening, barnacle covered rocks face the last of the warmth and the gently lapping waves are kissing them goodnight. Bantham 2007.